Lovely texture; glossy but not too shiny. Perfect for everyday wear! Thank you for this amazing preservative free gorgeous gloss like none other. It goes on like a gloss but quickly feels like it's almost not there while. delivering a beautiful luminous sheen of unmistakeable color. I like softer shades so Peace is my favorite. I also like to dab some over one of the Pastel Lip Smoothers. Feels great, looks dreamy ! I should say that if you notice a bit of vanilla scent, it dissipates quickly after application. I am so excited that there is a mini version of the this lip gloss. I do miss the mirror but this compact version works so well in my clutch for a night on the town! Absolutly amazing color (peace) and surprisingly long wearing for an eco friendly item. I love this gloss. I bought the mini Peace color some time ago but got the full-sized version this go around. 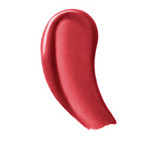 I am not big on lipstick due to how dry my lips feel when I wear it - this is a pretty color, feels light, easy to wear alone or mixed with another color .... my go to color! Love it! It's a fun color. Maybe a little more of a hot pink color than I was expecting. But so far long lasting and make my lips feel great, even after it wears off. I absolutely love these glosses and every color! They go on so smooth, there is no stickiness, and it last a very long time! I purchased the sample sizes and now I am going to order the regular size...definitely a great buy! I didn't like the texture of this lip gloss. I found it to be a bit heavy. I tried the Red "Power" and it dried my lips. I also tried "Power" (wine color)and I liked that formula better. Recently, I tried the "Vitamin E Lip Smoothers" and like those very much; better than the lip gloss. I love this color, shimmery & glossy & not to pink. I love this gloss. The best I have ever used. Goes on smoothly, not to sticky, smells and tastes great. The color is fabulous!